As you know we recently took a trip to Paris and had a wonderful time. 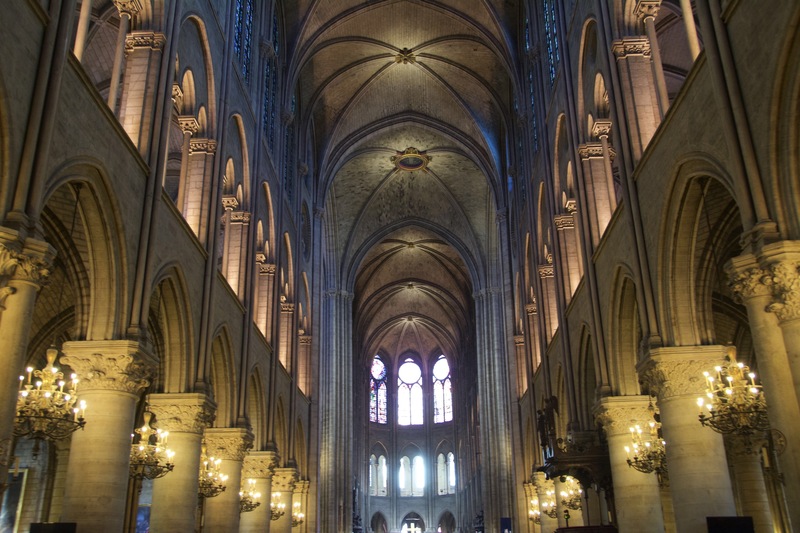 Paris is full of so many historical and beautiful sights (not to mention the food!). In addition to the Eiffel Tower, here is a short list featuring the places that we visited. 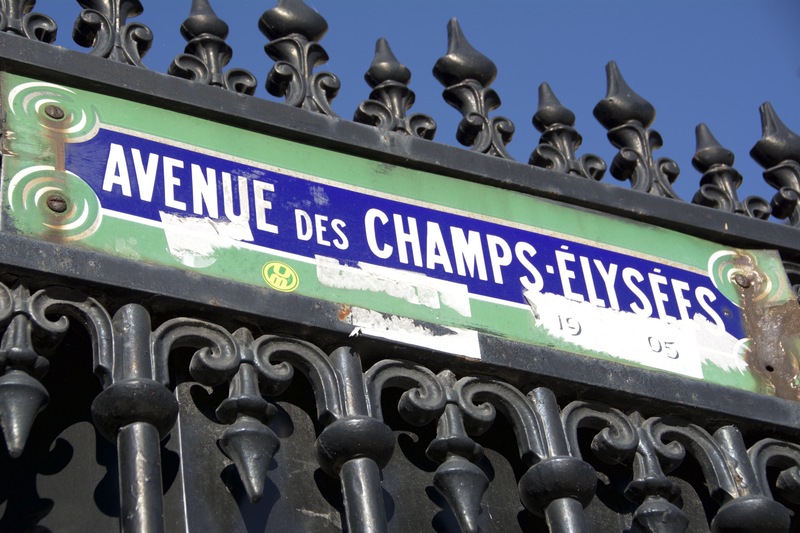 First off, we purchased a Museum Pass that allows you to gain free entry to 60 museums and monuments in and around Paris (and in some instances without waiting in line) for as many times as you wish during the period of validity of your pass. You can purchase 3 different types of passes; 2 days for €42, 4 days for €56, 6 days for €69. It was very convenient to have the pass, so you didn’t have to stand in line to buy a ticket at each site, and it also helped avoid waiting in the entrance line at some sites. Keep in mind that at certain sites you still have to wait in a security line, but you will skip the ticket line and the entrance lines. So it is a real time saver! or you can buy the pass at 6 locations throughout the Airport. The locations are listed here: http://en.parismuseumpass.com/rub-t-points-of-sale-3.htm?cat=3 I found it quite easy to make the purchase at the airport and didn’t even have to wait in line. 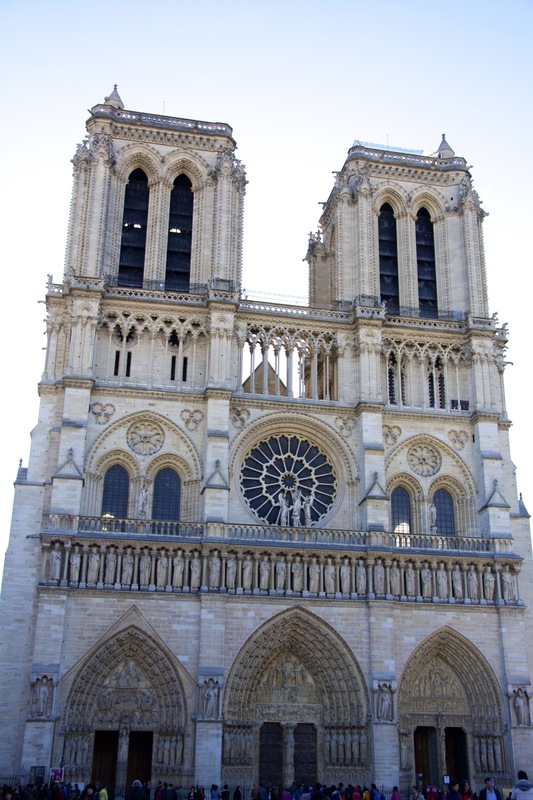 Notre Dame is a Catholic Cathedral and is one of the largest, most well known churches in the world. 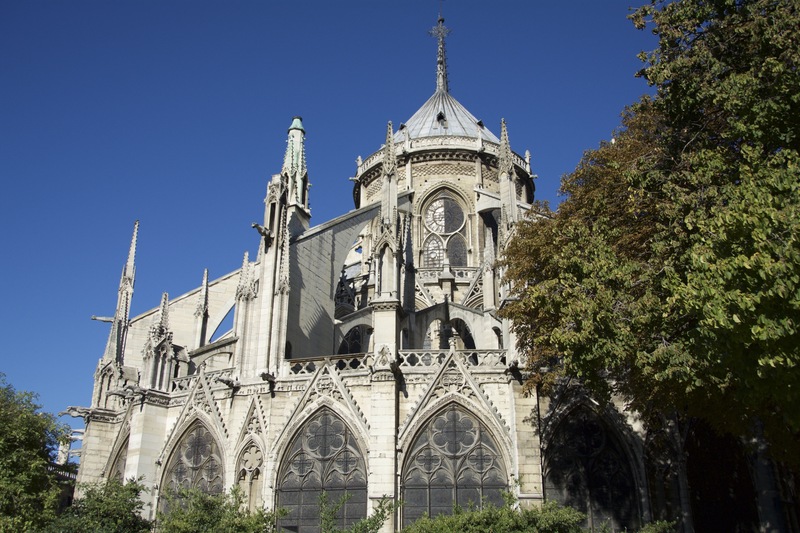 The cathedral is a shining example of Gothic Architecture and located on the Isle of Cite. Entrance is free of charge and open every day of the year from 8:00 am to 6:45 pm (7:15 pm on Saturdays and Sundays). They have audioguides available that are €5. And you can also go to the top of the Cathedral for views of the city. Additionally you can visit the Treasury, which holds objects from the 17th and 18th centuries and testifies to 19th century workmanship as seen in the painstakingly created gold liturgical objects, architecture, furniture and neo-gothic decoration. Entrance to the Treasury is €3. And finally there is a Crypt, which is under the cathedral’s Parvis and shows the results of the excavations under the Parvis which revealed the ruins of ancient Paris. Entrance to the Crypt is €7. The Museum Pass is accepted here (except for Treasury entrance). 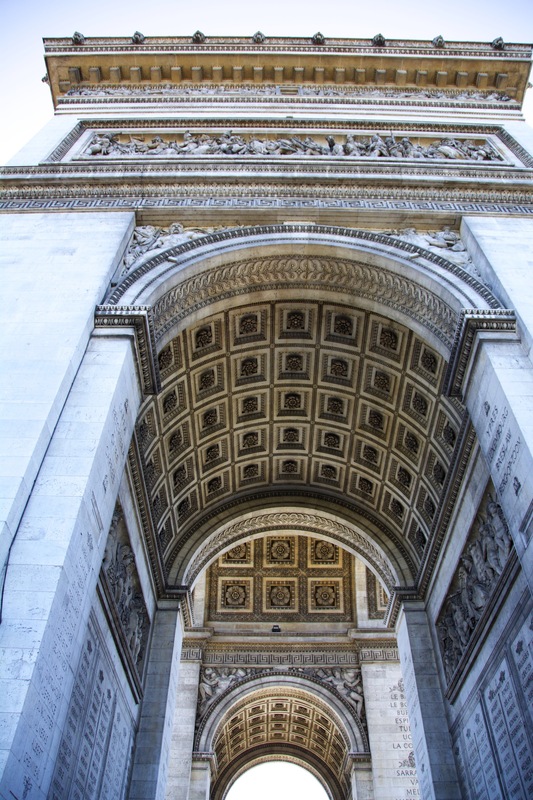 The Arc de Triomphe is located on the western end of the Champs-Elysees and honors those who fought and died during the Napoleonic Wars. It also houses the Tomb of the Unknown Soldier from WWI. The Arc is 164 ft high and you can ascend to the top which provides scenic views of the city (be prepared to climb quite a few steps). 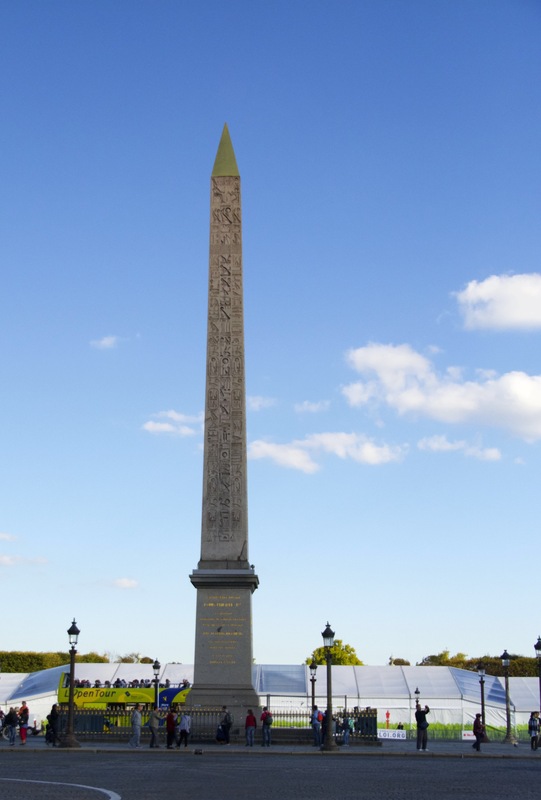 The monument is open from April 1 to September 30: 10 a.m.-11 p.m. and October 1 to March 31: 10 a.m.-10:30 p.m. The cost of entry is €8. The Museum Pass is accepted here. 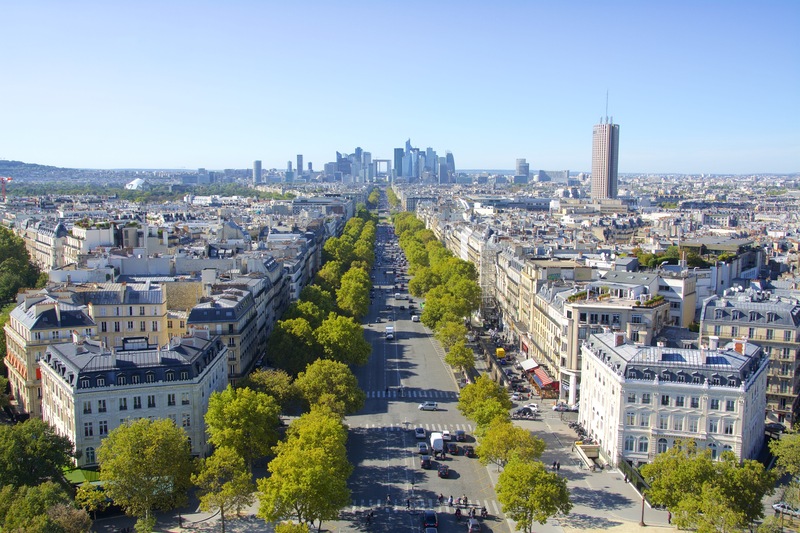 The Champs-Elysees is a boulevard in Paris that is well known for its upscale shops (like Louis Vuitton, Hermes, etc), theaters, restaurants, and cafés. Think of it as a Rodeo Drive on steroids. It is always nice to take a stroll down the boulevard and see the different shops. 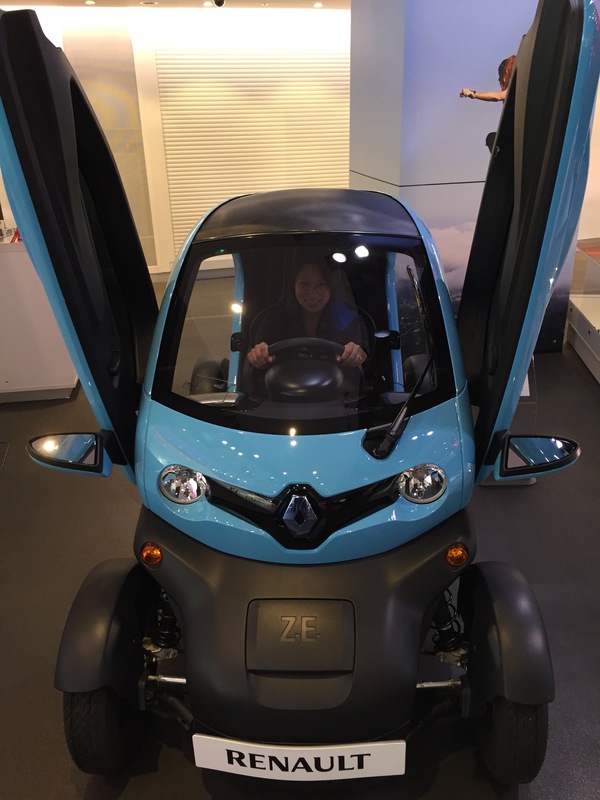 There are also many car brands with storefronts and you can go inside to check out the newest models and some of them have interactive demos. We just window shopped during our walk to the Arc de Triomphe. 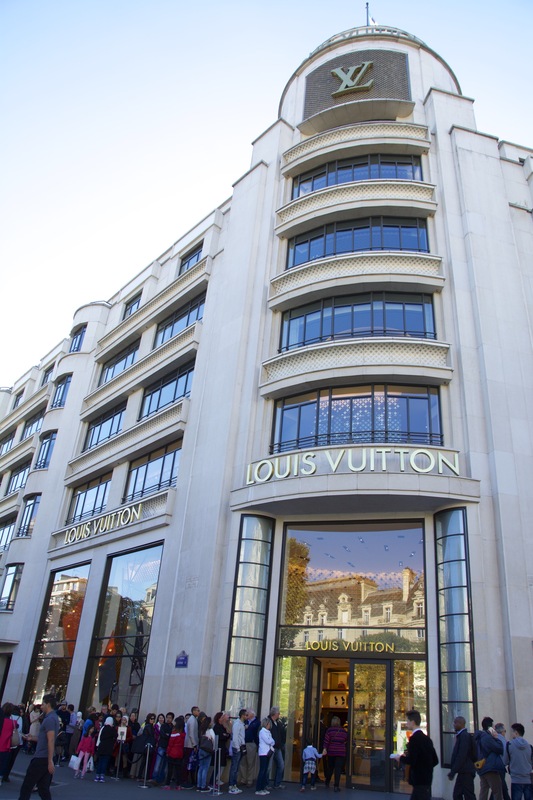 Enormous Louis Viutton store with a line to get in! 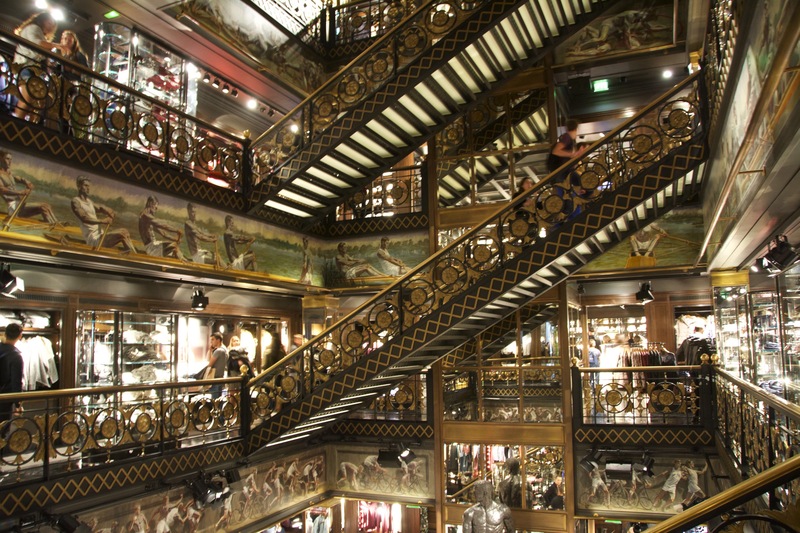 Abercrombie and Fitch: it has multiple levels and I thought we were in a museum! 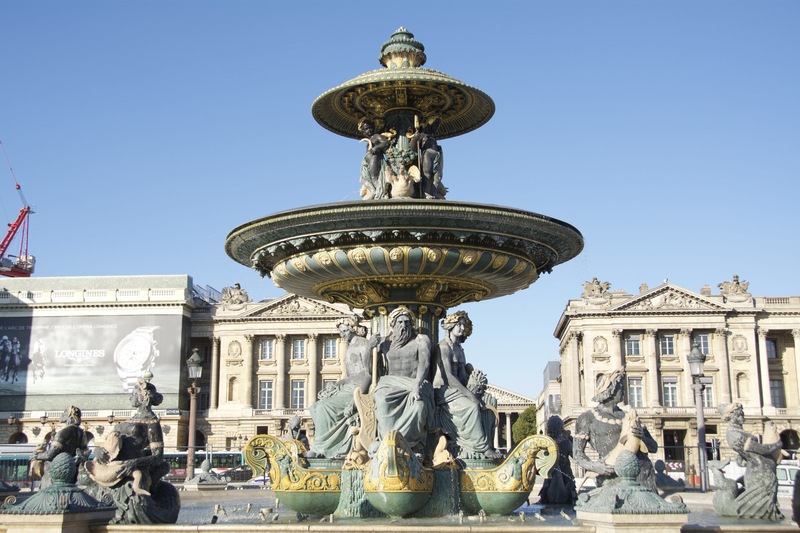 The Place de la Concorde is one of the major public squares in Paris and is located at the end of Champs-Elysees. The Luxor Obelisk is located in the square and is 75 ft high and decorated with many hieroglyphs. It is an Egyptian obelisk that is over 3,000 years old and was originally located at the Luxor Temple in Egypt. It’s twin is still located in Egypt. Also located in the square is two fountains made in the theme of the rivers and seas consisting of a stone basin. 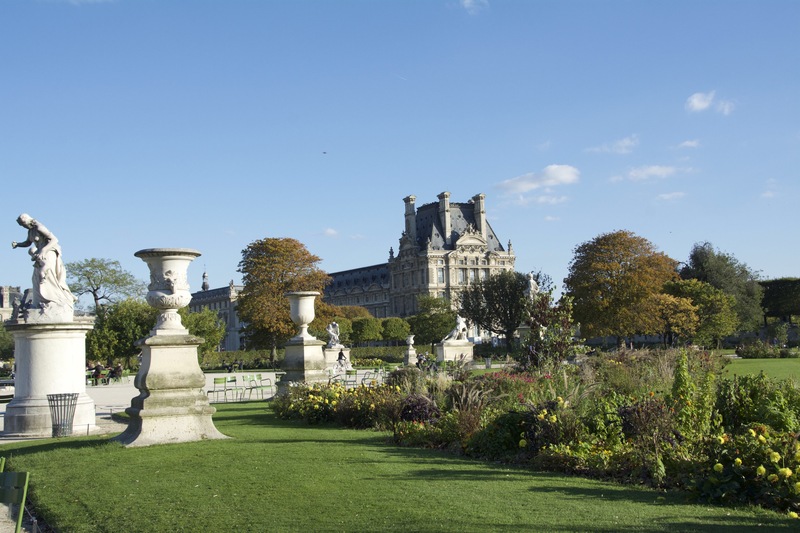 The Tuileries Gardens was re-landscaped by the famous gardener of King Louis XIV, André Le Nôtre. The gardens separate the Louvre and the Place de la Concorde. It is a very large garden where many Parisians and tourists alike sit, relax, picnic and even sunbathe! Inside the garden is the Musée de l’Orangerie, which holds many great works of Monet. The Museum Pass is accepted here. Monet’s Waterlilies inside the Musée de l’Orangerie. 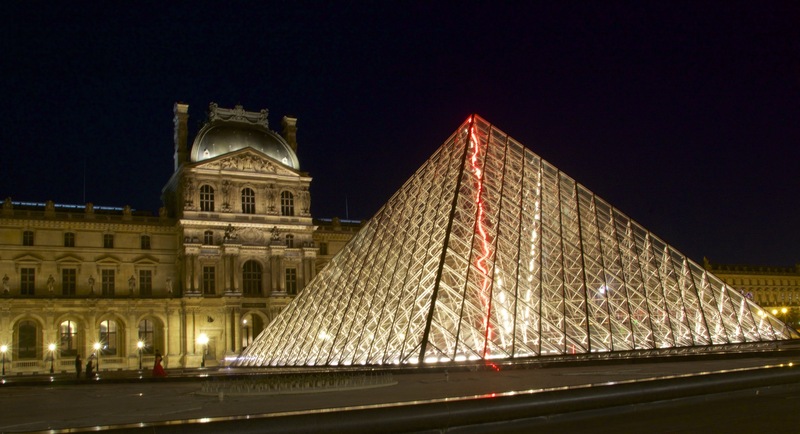 The Louvre is one of the world’s largest museums and the building is a historic monument. You can’t believe how big it is until you set foot inside its 5 floors and 652,300 square feet of rooms. It is no wonder that this is one of the world’s most visited museums. The museum is housed in the Louvre Palace (which has been extended many times), which was originally built as a fortress. Remnants of the fortress can be seen in the basement of the museum. When you navigate your way throughout the museum, it is confusing to know which level you are on let alone which exact room you are in (there are 300) due to the layout of the building. 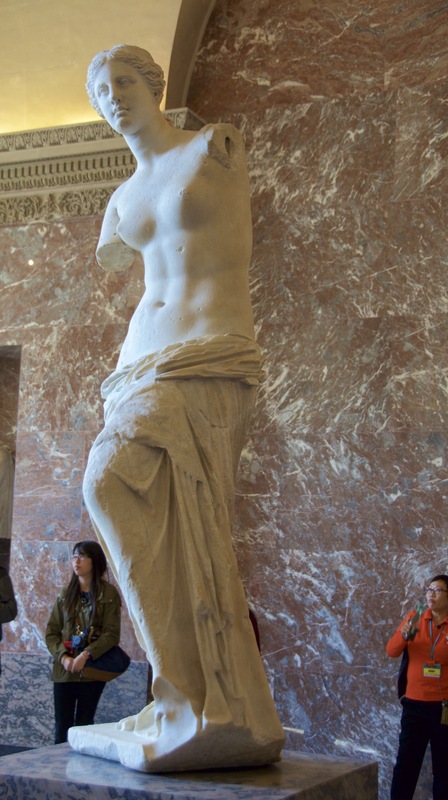 When you visit, definitely make sure that you have a map handy and of course don’t miss the Mona Lisa or Venus de Milo. 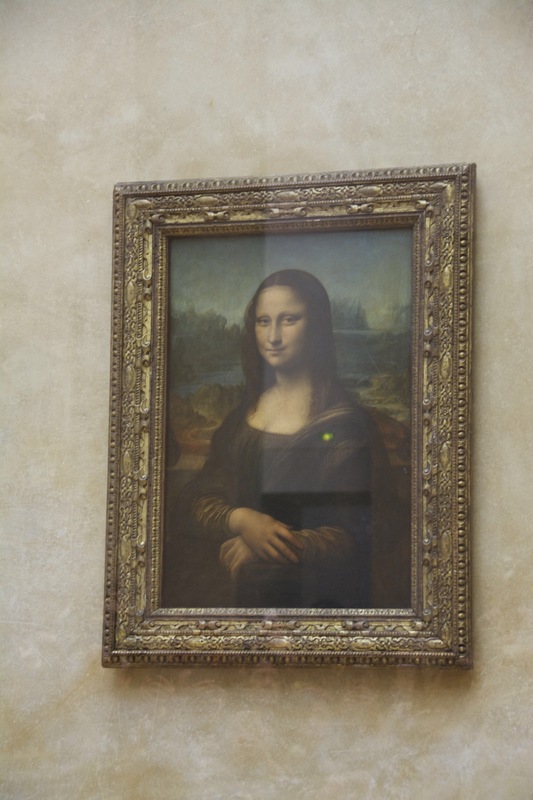 I actually suggest doing the Louvre tour, as the guide will help you navigate and give you information on the important works of art to note at the museum. Information on the tours can be found at www.louvre.fr/en/visites-guidees. The museum is open Monday, Thursday, Saturday, Sunday: from 9 a.m. to 6 p.m. and Wednesday, Friday: from 9 a.m. to 9:45 p.m. Note the museum is closed on Tuesdays. Entrance to the Louvre is €15, but the Museum Pass is accepted here. I used the entrance inside the Carousel du Louvre shopping mall (under the glass pyramid), which was a lot less busy than the other entrances. The entrance underneath the glass pyramid and inside the Carousel du Louvre shopping mall. 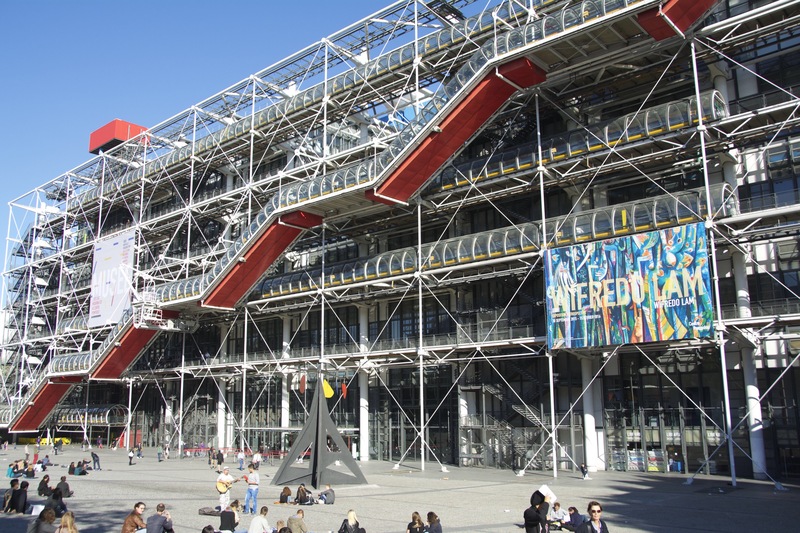 The Pompidou Center was constructed by President Pompidou in 1969 in a decision to dedicate the area to a multidisciplinary cultural centre including a new library and transfer of the National Museum of Modern Art. Outside of the Center is a plaza that has cafes and often has street performers and artists. We enjoyed sipping a cafe while watching a few street performers. The Pompidou Center is constructed of steel and glass. It has a tube which encases the exterior escalators that you use to ascend the 7 levels. We participated in a few interactive exhibits at the museum and enjoyed our walk through the National Museum of Modern Art and ended our visit by watching the sunset from the balcony of the museum. 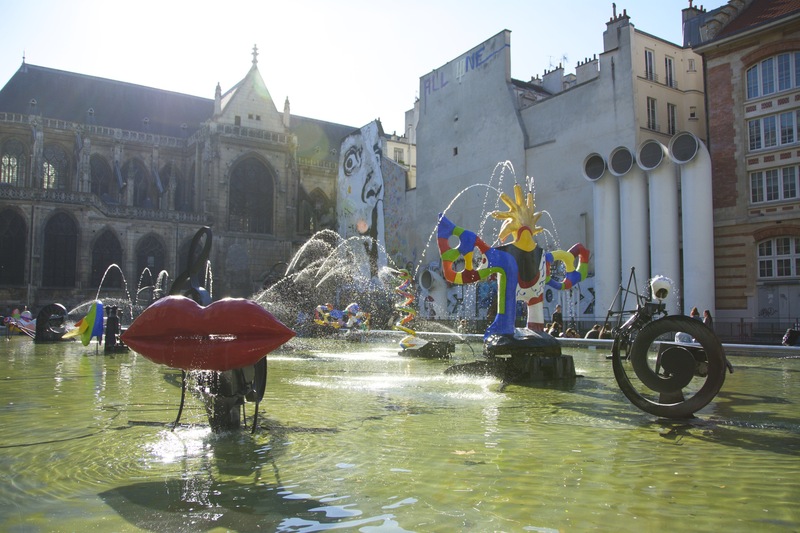 The Centre Pompidou is open daily from 11:00 a.m. to 10:00 p.m., except Tuesdays. The National Museum of Modern Art is open daily from 11.00 a.m. to 9.00 p.m., except Tuesdays. Tickets to the Museum are €14, but the Museum Pass is accepted here. There are separate seasonal exhibits that may not accept the Museum Pass and the prices will vary. The plaza outside the Pompidou Center. 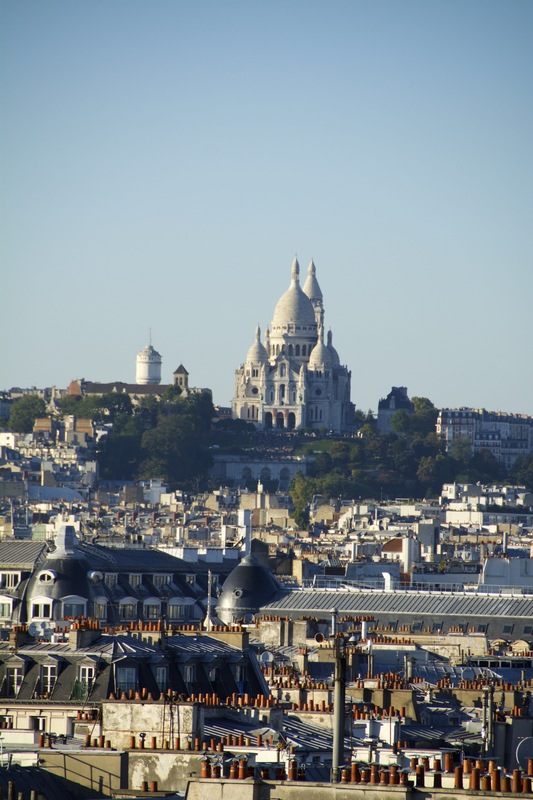 From every vantage place in the city we kept seeing this enormous structure off in the distance and after doing a little research, we saw that it was the Sacré-Cœur Basilica which is located on the hills of Montmartre (the highest point in the city). I think the basilica is gorgeous during the day and at night. You can enter at no charge, but during services you are unable to take photographs. 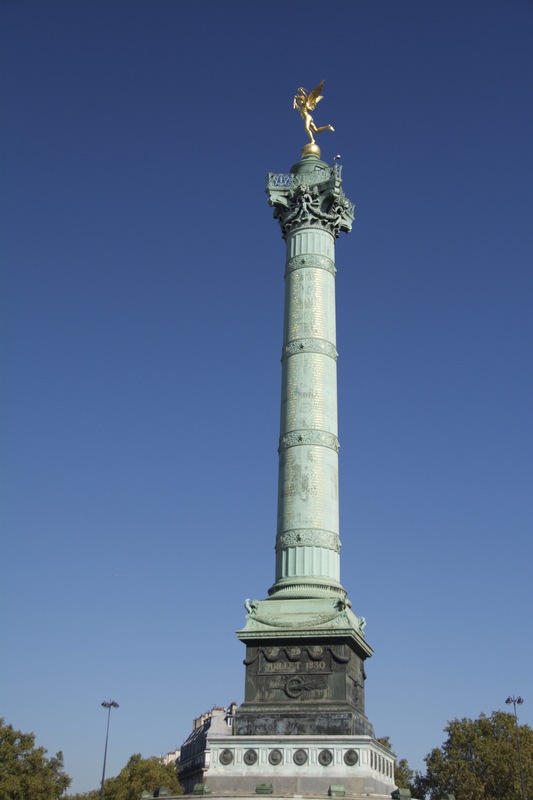 The Place de la Bastille is a square where the Bastille prison was located until the “Storming of the Bastille.” The July Column stands in the center of the plaza and commemorates the Revolution of 1830. So we all know the movie and songs from Moulin Rouge, but we decided we should check out the real Moulin Rouge and Cabaret show ourselves. The Moulin Rouge, which opened in 1889, is the birthplace of the can-can style of dancing and home to many extravagant shows. 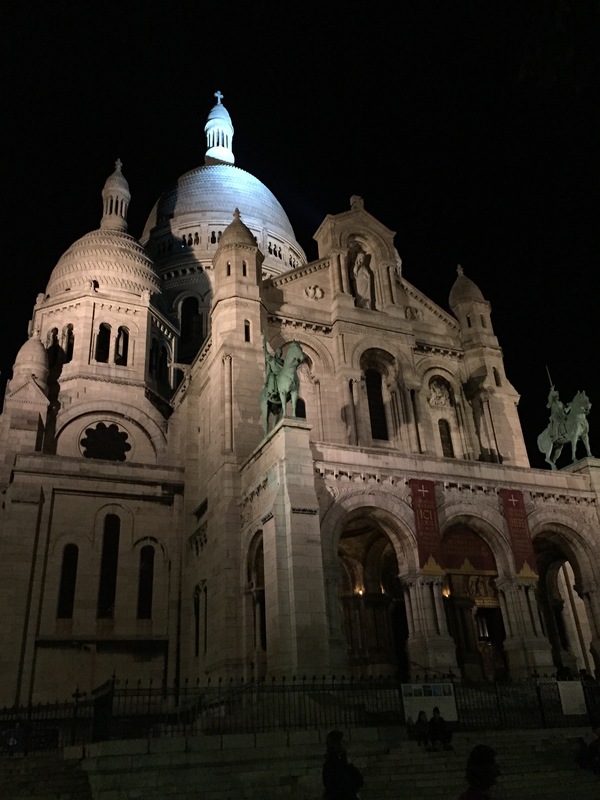 It is located close to Montmartre and is easily recognized by the neon lights and the big red windmill. To this day they still have performances. The “Féerie” show as they call it consists of 80 performers wearing 1,000 costumes (embellished with rhinestones, feathers and more!). In addition to the dancing and singing, there were acts such as a woman swimming with boa constrictors, acrobatic skaters, and more. The inside of the Moulin Rouge was nice and what was expected, the show itself had some good parts, but in my opinion for the amount of money we paid, I would rather see Cirque du Soleil. Of course this is something we would only go to once, and we were happy we visited the Moulin Rouge. We ended up booking at the Visitors center and got tickets that included a bottle of champagne. We booked pretty last minute, and if you are wanting to go on a weekend you should definitely check on tickets probably at least 2 weeks in advance. Ticket prices vary depending on the day of the week and the time, starting at around €77 and go up to more than €200. You can book your tickets directly through the website: http://www.moulinrouge.fr/?lang=en, through the Paris Visitors Center, or through a myriad of tours that offer packages. 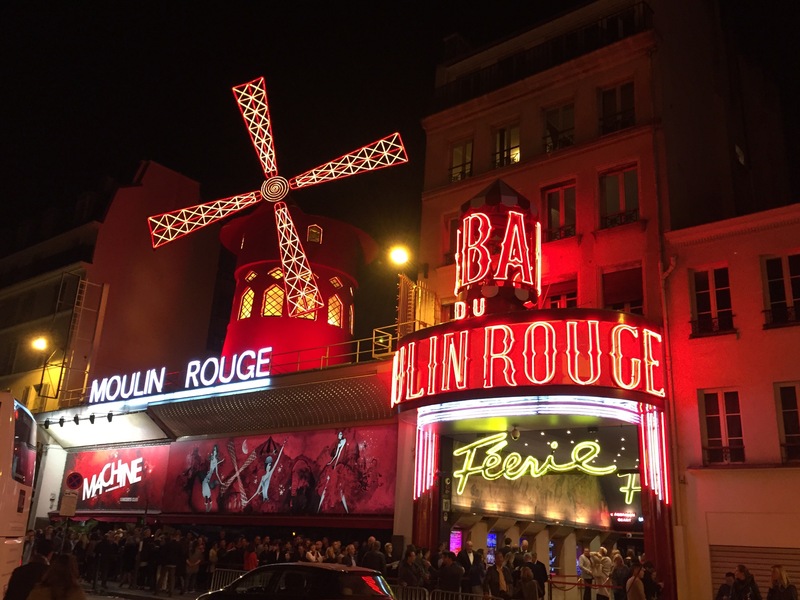 You definitely don’t need a tour to get you to the show, the Moulin Rouge is close to the metro and there are tons of restaurants in the area if you wanted to go for dinner yourself. The one thing is that you absolutely must show up at least 30 minutes ahead of time as the line gets extremely long. You will be happy you got there a little early so you can get seated first. Paris is a gorgeous city full of so much life and so much history. We loved every moment spent at museum, shows, cafes, and even just aimlessly wandering the streets. I hope this article points out some of the highlights of our trip. We are already itching to go back to Paris!